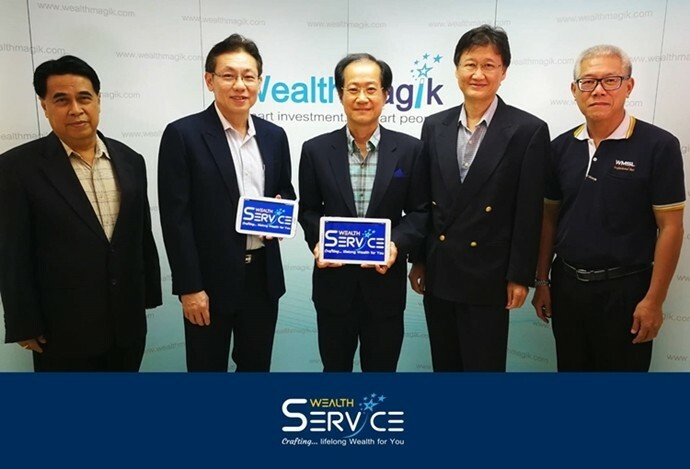 Led by its CEO, Mr. Somkiat Chinthammit, and the management team, WealthMagik has launched its new premium service called Wealth Service. The new service will include a variety of premium tools to help investors manage their portfolios through Digital Wealth Services. One of the services the investors that will be able to use is the Wealth Health Check, a portfolio monitoring tool to let investors know if their portfolio meets their investment objectives. The tool helps to check the health of the Fund Portfolio under the risk framework. It is vital to check the health of the portfolio because over time investment portfolios are not static. Due to changing market conditions, the value of investment in each fund will change as well. Some funds’ performance will decrease from the initial period of investment. As a result, investment portfolios funds that are designed from the beginning may be distorted from the original goals that were originally targeted. WealthMagik is conducting an open trial for Wealth Health Check. The team will randomly pick 50 WealthMagik members and these selected members will receive an email from the team on how to access this premium tool. The WealthMagik team is already planning to add other premium service such as portfolio rebalancing and performance attribution analysis to be available in Wealth Service in the future. If you want to know more about Wealth Service, you can contact the WealthMagik team here.